Saturday, November 21, marks the 45th anniversary of the opening of the Verrazano-Narrows Bridge, which was at the time the longest suspension bridge in the world. The bridge was the brainchild of Robert Moses, who had more influence on New York City that perhaps any other individual in its history. The bridge, connecting Staten Island to Bay Ridge, Brooklyn, was the last major arterial road in Moses's grand plan to connect all of New York by automobile. 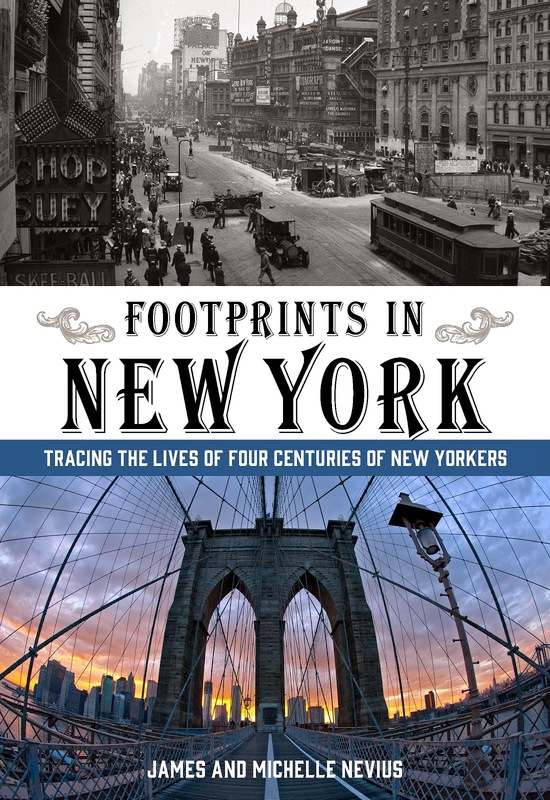 (Among Moses's many other projects included the Brooklyn-Battery Tunnel, Brooklyn-Queens Expressway, Robert F. Kennedy (nee Triborough) Bridge, and the Cross-Bronx Expressway.) The bridge was the last project designed by engineer Othmar Ammann, who had started his career in New York working with famed Beaux-Arts architect Cass Gilbert on the George Washington Bridge in 1927. Though the bridge promised to slice commuting time to Manhattan in half, it was not without controversy. Many residents in Bay Ridge, Brooklyn, were displaced for the bridge's massive footing. And on Staten Island, residents worried that such easy access to their island would encourage a building boom and ruin its rural charm. As former resident Tom Goff told the New York Times on opening day: "It was all woods. I picked my first potato on Staten Island." There was also controversy surrounding the name. The Italian Historical Society of America suggested the Verrazano Bridge to honor Giovanni da Verrazzano, the Italian explorer who first sighted Staten Island in 1524. (Somewhere along the way the second z in Verrazzano's name got dropped from common usage.) Governor Nelson Rockefeller agreed and on Verrazano Day in April 1959, he publicly backed the name for the as-yet-to-be-constructed span. Immediately, there was backlash. The Staten Island Chamber of Commerce fired off a letter to Governor Rockefeller questioning the wisdom of honoring "a foreigner who made a navigational mistake." They suggested calling it the Staten Island Bridge instead in order to allow their island to get a little bit of the limelight. 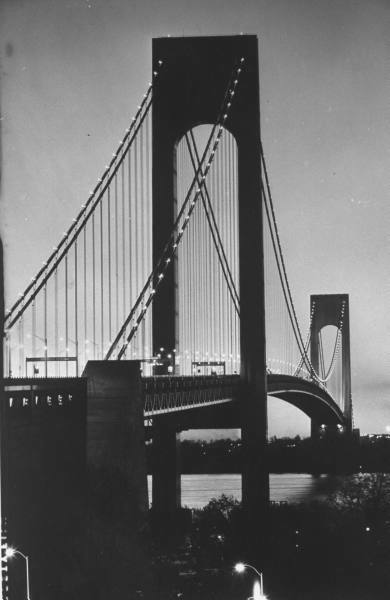 Though the controversy raged for some time, Robert Moses quietly stepped in and named the bridge the Verrazano-Narrows, thus honoring both the Italian explorer and the body of water it spans. The name of the bridge today is so well-known that many don't realize that the body of water that flows underneath it is simply called the Narrows--the Verrazano part applies only to the bridge itself. When the bridge opened it cost $0.50 to cross; combined with the $0.35 toll on Brooklyn-Battery Tunnel meant that for $0.85, one could drive from Staten Island to Manhattan. Adjusting for inflation, that same trip should cost $5.85 today. Instead, at full fare it costs $16.50 (for cash users) or $13.71 (EZ-Pass). Staten Island residents get a further break on the bridge tolls and car poolers get an even bigger discount, but even so the cheapest that drive can cost in 2009 is $7.13. There has been some talk recently of adding pedestrian and/or bike paths to the bridge, but until that happens the only way to access the bridge on foot is as part of the annual New York City Marathon. 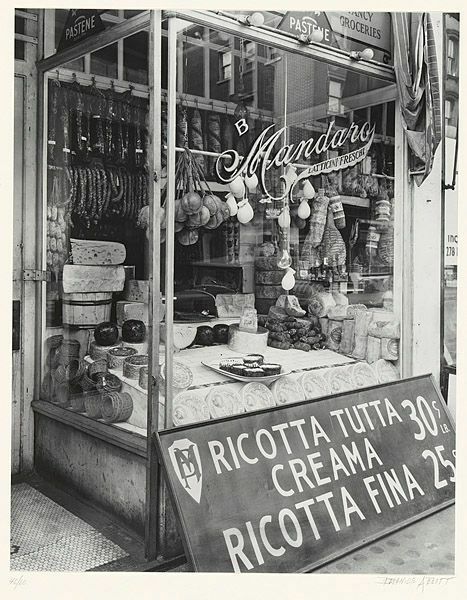 PHOTO COURTESY OF THE LIFE MAGAZINE ARCHIVE AT GOOGLE IMAGES. Slight quibble, I think Amman began working for Lindenthal on the Hell Gate bridge, as an apprentice. At least in terms of his earliest involvement in NYC bridge building.